Stetson Tudd delivers an open letter to the world from Battersea, Washington. 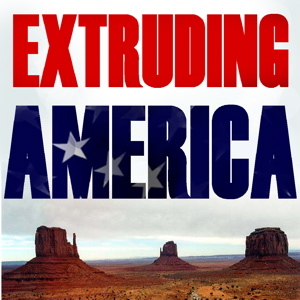 Has Extruding America returned and is it new and improved and better than ever? We're voting for "returned"! Unbeknownst to a frustrated Gerard, his activities have been recorded. Marcus Aurelius was a Roman general. He was not a rhododendron. Unbeknownst to Gerard, his preparation for a journalistically superior report has been recorded. Gerard Armbruster seizes the moment and Stetson Tudd skips it across the pond. Gerard Armbruster successfully teams up with Stetson Tudd over the speaker phone. While this may not be an example of journalism or even editorialization, if you're listening to this on a podcatcher or computer equipped with speakers, it is affordable. Gerard gets a clue and itâ€™s adios Stet! Gerard smells the smell of fear. Stetson introduces something new. Mountain of Fame by John E. Wills, Jr.
A confluence of events puts Gerard's multimedia multitasking mettle to the test. Stet states a truth. With a glorious assist from the Dwight Bertram Correspondence School of Reporting Technique and Vocal Inflection, Gerard Armbruster quells a querulous Stetson Tudd. A magnificent display of the journalistic arts ensues. The last M-80 is spent. So are Gerard and Stetson. Add the wine and cook until it is absorbed into the meats, about 10 minutes. Add the tomatoes and the chile pepper flakes (if using) and stir well. Cover partially and simmer, stirring often, for 2Â½ hours. Check from time to time to see if more liquid is needed, adding stock or water if necessary to prevent scorching. At this point, the sauce should be thick and the juices should coat a spoon. Unbeknownst to Gerard and Stetson, their phone call has been recorded. The above list is certified factual and true. Click here for further information. Gerard conducts an audio tour of the abandoned medieval-themed restaurant The Dark Ages, now the Armbruster Recording Studios, and Stetson concludes his thoughts on Slaughter and Mayhem introduced in the previous episode. A fuming Gerard is distracted by Stetson's literalist interpretation of the NFL's monstrous mythology. Gerard delves into the darker side of the human appetite for the taboo crop, and a new longform format accidentally evolves when hard-hitting journalism collides with movie gossip and a bedtime story. Fill 6 oz. glass or other small container with 3 bite-size pieces of pickled pig's feet. If you have to cut them be careful; there may be bones. Apply liberal dash of hot sauce (see above). Put entire piece in mouth. Take a large gulp of beer (see above). Great on a hot day. Christmas comes to Battersea, as a storm hits the American Northwest. Ma Po Dofu for All! In wok over high heat, heat the oil. When hot, add meat, stir fry until lightly brown (2 minutes). Add ginger, garlic, hot bean sauce and black bean sauce to taste. Add rice wine and stir fry for 20 seconds. Pour in stock, bring to boil. Simmer, stirring frequently 3 to 4 minutes to blend flavors. Fold in bean curd and green onions. Heat gently, seasoning with salt. Transfer to warm bowl, season generously with Szechwan pepper and serve immediately. My town's name is Battersea, roughly 39 miles south of Seattle, and, strangely, with a population the size of Tacoma's my neighbor 2 miles to the south. Oddly, we show up on no maps, even though we are the sixth largest seaport in the contiguous U.S. We are an hermetically sealed, sometimes racist, always hard working, hardscrabble community, pretending, occasionally to be hip, always failing at that, with nary much in the way of culture. We were poised to be the largest city in the Northwest, until the Great Northern Railway blasted its way through Stevens Pass, in the Cascade Mountains north of Seattle, back in the late 19th century. Put us almost out of business, and definitely out of the way. Not irrelevant. Just hardworking and sleepy at the same time. Every week I, Gerard Armbruster, ask you to take a wrong turn with me off life's interstate, and discover the straight story about the bend in the road, where nestle the small towns with big characters, to tug on the common thread that unravels the hand-me-down sweater of our national zeitgeist, and extrudes the truth of our lives. Eric Luke (Gerard Armbruster) and Stetson Tudd (not at liberty to reveal identity at this time) have enjoyed a long and hardy acquaintance. Their collaborations include the seminal storefront performance group The Meat and Soap Theatre (with Christopher Mills) which played to sold-out houses for one summer in San Francisco's North Beach, but ended in a New Year's Eve show for Singles Over 40 that they still consider one of the most disturbing events of their formative years. Their times in Mar Vista with the inestimable Ken Sailor continue to inform their lives and creative efforts.